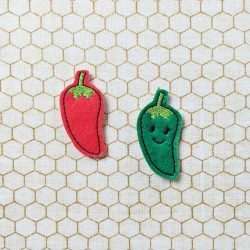 Make anything you want using this little feltie design! This sloth has CLOSED eyes. The version with OPENED eyes is elsewhere in my shop. This feltie is approximately 2″ on its widest side after cutting. Search “sloth” in my shop to see all the wonderful sloth goodies!